Here’s to “the uns:” unabashed, unafraid, uncensorable, unconventional, uninhibited, unorthodox, unpretentious, unstinting, unsung, untiring, and finally, definitely unique! Bonnie Kalmbach asked me to talk briefly about the early days of Back Porch Radio at WORT‘s annual meeting. I delved into my far-from- perfect memory, with the help of a 20 year old cassette tape and a couple xeroxed pages. In the early 1970s W-O-R-T is just a gleam in the eyes of five of us. In fact it isn’t WORT we’re dreaming about. It’s WOMB ! W-O-M-B, those are the first call letters we wanted (rejected at an early open meeting), then W-A-R-T which we request from the Federal Communications Commission. But the FCC turned us down because WART had just been reserved by another station. There are the five of us. There’s Pat Ryan, an engineer at WHA Radio. Pat lives in one half of the same house as I do, near the corner of Drake and Mills a few blocks from the present site of the station. I had been involved in non-commercial radio off and on since 1940. In the early ’60s as news director at the original listener supported stations of the Pacifica Foundation in California. In 1973 I moved to Madison for a one-year appointment on the UW-Extension faculty. There was a married couple, the Deveraux-Weber’s, who had tried valiantly, but unsuccessfully, to get a similar project started here earlier with the name “The Human Radio Corporation.” The husband works at the local cable TV company. Finally, there’s Pat Ryan’s engineering colleague at WHA, Mike O’Connor. Mike is the main reason there is a community radio station here. He had been active with listener supported stations in St. Louis. Mike is a young, human dynamo, but he is deceptively relaxed about it. The foundation’s name, “Back Porch Radio,” expresses Mike’s philosophy of an easy going, unpretentious, down-home, approach to broadcasting. It’s Mike’s $10,000 in stock, a gift from his father, that is pledged to get the construction permit. The stock is never needed, because of local fund raising. Mike, and the rest of us, envision a modest operation with no paid staff, no staff or titles at all. A friendly collective group making all decisions by consensus. 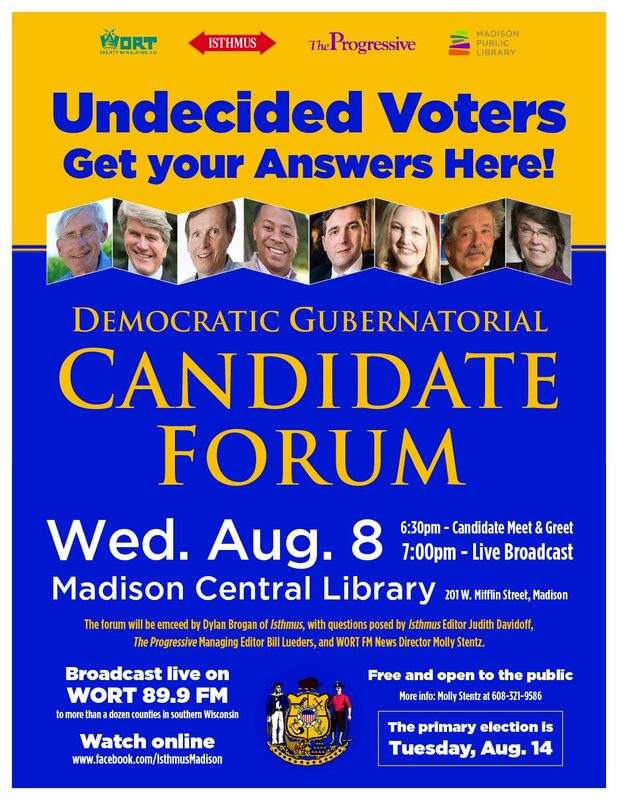 The station would cover only Madison, it would be FM with no stereo, at a different frequency — 89.7. Our studio and transmitter would be located high atop the YWCA building near the state capitol. One major change before we go on the air is the station’s location. The unused studios and transmitter of the commercial FM station W-M-F-M on Winnebago street in the Atwood neighborhood become available. The small main studio is great because it has a large window looking out onto the street. Passersby often call and wave to us. Finally, after many thousands of hours of unpaid volunteer work, comes Monday, December 1, 1975, at 8 pm. Mike O’Connor flips a switch, makes some nonchalant remarks, and we’re on the air. 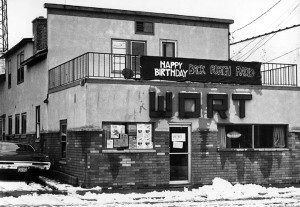 My dream is that in a couple years, when WORT celebrates its 21st birthday—its “maturity”—there will be published a multi-viewpoint history of the station called *WORT’s And All*. I’d like to be part of a group writing that history.